A memory expansion designed for use with the A500, A1000 and A2000. 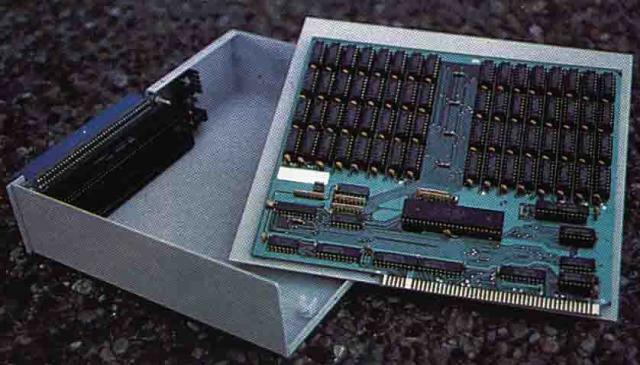 It probably connects to the side expansion slot of the A500 and A1000 but it's not certain how it's designed to connect to the A2000. It initially looks like it might plug into a Zorro II slot, but the card looks physically too big. The unit case appears to be able to take additional cards, probably additional "Advantage" cards for even more memory. Page contributors: Duncan Mac Dougall.